Today, market forces are changing the dental profession: increased competition, healthcare reform, managed care, and challenges with personnel management, just to name a few. A tight economy, rapidly rising overhead, and reduction of dental insurance benefits by employers add to the challenges facing dentists today. Sadly, the ADA reports that fewer than 5% of all dentists are able to retire with a comfortable lifestyle after their 65th birthday. In spite of these alarming developments, the future is remarkably hopeful for doctors who are willing to invest in their practice and their people in order to design strategic plans for success in this ever-changing environment. While it was once possible to succeed with a “seat of the pants” approach, managing a dental practice today requires greater planning and new solutions. Fred Heppner can bring proven expertise to your practice, as well as valued objectivity. His extensive experience, gained from working with dental offices across the country since 1983, can be applied to the development of solutions that meet your particular needs. The end result of implementing these proven business systems will be a more profitable and enjoyable practice, now and long into the future. A sensible and affordable fee structure is available for these consulting services. In today’s ever-changing healthcare environment, it is critical to monitor and understand a practice’s overall health and well-being. This unique service provided by Fred, “A Practice Assessment & Consultation,” gives valuable, professional, and objective analysis of the vitality of a dental practice. 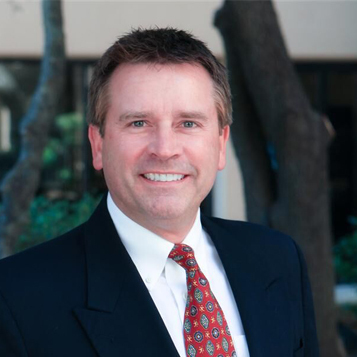 Fred Heppner is a leading dental practice management advisor who delivers professional, objective practice assessments, and unmatched management consulting services. Since 1983, he has served the business of healthcare by enhancing dental and medical practices, and lecturing nationally on practice management strategies. Mr. Heppner is skilled at assessing private dental offices. He uses a compiled checklist of items that serve to measure the financial health of the practice. During private consultation with the doctor, a brief history of the practice is discussed in order to help Fred develop a sense of the individuality that is characteristic of each office. Additionally, Mr. Heppner will meet with team members, evaluate the facility, and examine practice management systems. The results of this assessment process and evaluation will be a comprehensive, detailed written report provided within ten days following the assessment. This report includes findings, impartial observations, and professional recommendations on specific proposals to accomplish the doctor’s objectives. A follow-up meeting is then scheduled to review the report and plan for the next steps to put the recommendations to work.